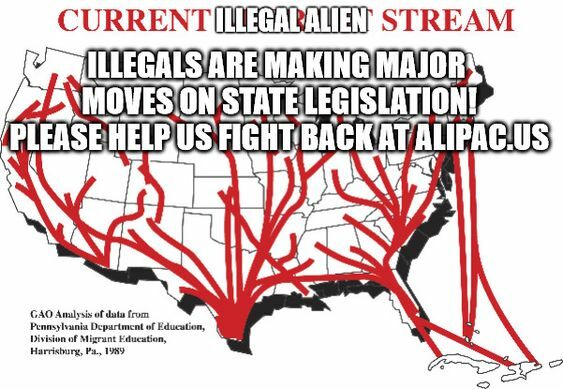 For those of you who are new to ALIPAC, please know that we have helped stop Amnesty bills in more than 30 states that included in-state tuition for illegals, sanctuary state status, and licenses for illegals. There are many thousands of American students who have NOT BEEN DISPLACED by illegals yet, thanks to our state battle wins at ALIPAC (Review ALIPAC past Accomplishments HERE). We only raised $150 from Friday's request for funds that told you the good news (Review Alert) in our battle to slow and stall those planning to end the war on behalf of the illegal aliens by passing Amnesty in DC! That's just not enough to fund and fuel an effective national organization. Let's turn things around today, please! Hope we hear from more of you today. Last edited by ALIPAC; 04-14-2019 at 03:10 PM. Last edited by ALIPAC; 04-14-2019 at 03:09 PM. The statute allows the President to suspend the entry of any aliens or of aclass of aliens or place restrictions on the entry of a class of aliens temporarily if he or she determines that the entry of such aliens would bedetrimental to the U.S. interest. Archdiocese of Chicago..whoa, a whole program for illegals!